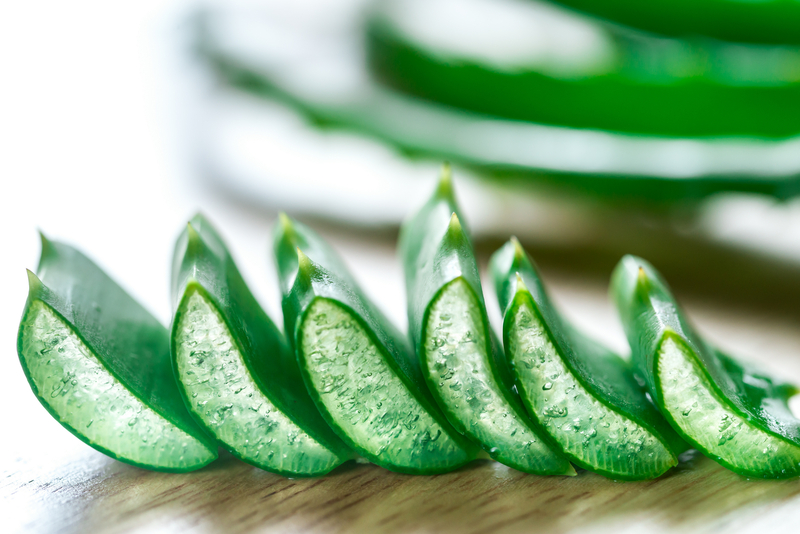 Home / Uncategorized / Are you using Aloe Vera gel this summer ? With this exceptional real summer weather in Ireland this year, we need to make sure to have aloe vera gel handy not only for sunburns but a great skincare product all year round for everyone in the family. I have been asked few times by my followers how to use the aloe vera gel directly from the plant, and how to store it . FB fan: I have about 20 plants (aloe ) how do I make this up. ???? FB fan: thank you I didn’t know that you couldn’t keep it. I have mixed it with coconut oil and frankincense to use as a moisturiser but I did notice it went very green in a couple of days. Me: yes it does not gets only oxidized but have in mind Aloe vera is 96% water and 4% aminoacids and other actives, so you MUST include a preservative otherwise it goes off in days. Besides the fact that oil and water does not mixed, your recipe with coconut oil would need an emulsifier otherwise the 2 phases will separate eventually. I actually made that recipe myself a while ago to show my fans that most of skincare recipes in the Internet are unreliable and can do more damage to your skin that good. See my pic below coconut oil (solid) is on top and aloe vera gel (oxidized) after few weeks with NO preservative. And the smell of rancid. This a typical example of a skincare recipe from very popular blogger who does not have proper cosmetic making knowledge and people would end up using a product full of nasty microorganisms. FB fan : Thanks. What kind of preservative? Me: you are welcome, the use of which preservative (as there are many types you can use) on how much etc is a whole lecture and don’t want to get very technical. It is based on the whole formula, percentages and interaction with other ingredients.Aloe Vera is one of the hardest cosmetic ingredients to preserve. If you would like to learn more about cosmetic making please feel free to check out my website for courses and workshops. FB fan :How to store fresh aloe vera gel from the plant ? Body scrub mixed with sugar or sea salt and some nice plant oil that you like. Please note that all these products above will be good to use just few days (maybe 3 maximum) if kept in the fridge, then discard it. You can not store these products without a preservative . Freeze it in little ice cubes shapes and use it after sun or for skin healing purposes, or just as skin refreshing . Yes you can freeze it no problem for a longer time. Now if you are not lucky enough to have Aloe Vera plants at home .Which aloe vera gel you should buy ? This is another frequent asked question . Buy one with the least ingredients possible, check the INCI (ingredients list) and make sure that “Aloe Barbandesis” is first on the list so that will be a good start. You might see Carbomer (synthetic thickener) or Xantham gum (natural thickener/gelling agent) phenoxyethanol (synthetic preservative) and others . EDTA (synthetic preservative) , if it is green glossy colour , definetely has colorant, Aloe vera gel is white/transparent naturally. Do you want to make your own aloe vera gel (like the one you buy in the stores?) ?? Yes you can make aloe vera gel and plenty of other bodycare products -professional standard – at home. YES it is POSSIBLE!!! with the right knowledge and professional guidance.